In the main, most of our removal enquiries are local, homes moving within a 20-mile radius of where we are based. 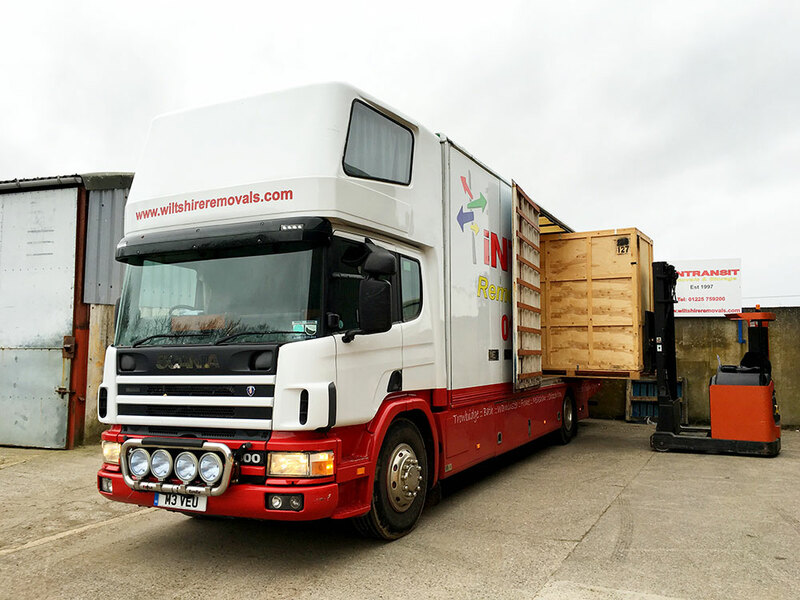 However, along with our fleet of vehicles, which differ in size enabling us to complete any type of removal and amount of goods to be relocated, we have an International Operators Licence, meaning that we have the ability to travel anywhere to complete the relocation ourselves. We also belong to the most well-known governing body for the removals industry, the British Association of Removers (BAR) which is overseen by Trading Standards (TSi) – which with it also opens up many doors being able to talk to and work with like-minded professionals across Europe and beyond. Many removers aim to be able to provide transport to the South of France and Spain, as in years gone by that has been by many the chosen destination as Brits aim for some sun! However, the way things have changed, with the country not really sure what to expect with Brexit becoming a factor, the moving into Europe has taken a bit of a back seat as people ‘wait and see’ what is happening first. As we look at everything that is going on constantly with the house selling market, one thing has become apparent; simply not many movers were specifically running between England and Ireland, whether Southern or Northern, it is still quite a relocation to a stunning country, and a task which needs to be completed properly. This is an aspect we found when looking into it, many ‘removers’ coming over from Ireland were only ‘man 'n' van’ type companies, which are fine, as they serve a purpose for the sector they are in, and where many of us including us started out. However, one aspect that people do not consider, is the professional and legal aspects. Most put the ‘cost’ first, however, if the removal vehicle as used by your chosen remover is not up to the job, and the vehicle is found for example to be overweight and dangerous, it can in fact be stopped and taken off the road until a proper removal vehicle or additional vehicle sourced to complete the job undertaken. Again, all will be ok, if the chosen remover is able to provide the correct vehicle or additional help, and at who’s cost? Our fleet start from vans, then move up to 7.5t, 12t, 15t, 17t, 18t & 26t removal trucks – so we are able to choose which vehicle is best to complete the job in hand, not only cost effective but also legally. Another aspect to working between here and Ireland, we have the ability to provide short and long term, indoor containerised storage, both here and there and, the more we run between England and Ireland, the more we should be able to offer a very cost effective service, moving people from here over there, and Ireland back to anywhere in England. As we have help available in Ireland as well as here, again any aspect of the removal should be covered, from the point of quotation onwards. Our domain name www.movingireland.co.uk was purchased for marketing reasons and redirected through to our main website. Again, to talk further please do email with as much information as possible to info@wiltshireremovals.com or by calling us on 01225 759200 – if your quote is required to be completed by having your home surveyed in Ireland we now have the ability to complete this also, again, this can be sorted once you have contacted us.